Q: How do you stay motivated to create new work? A: There are many reasons to continue to make art. First, I am fascinated by my months- if not years-long creative process. It begins with travel to remote destinations and ends in framed pastel paintings in my studio, hanging in galleries, at art fairs, in collectors’ homes, etc. 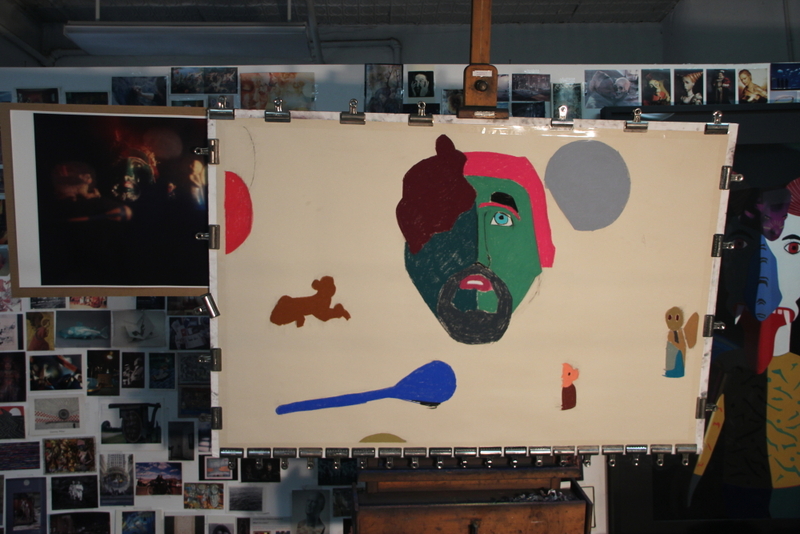 Each new pastel painting is another thread in an expanding tapestry that is my entire body of work. 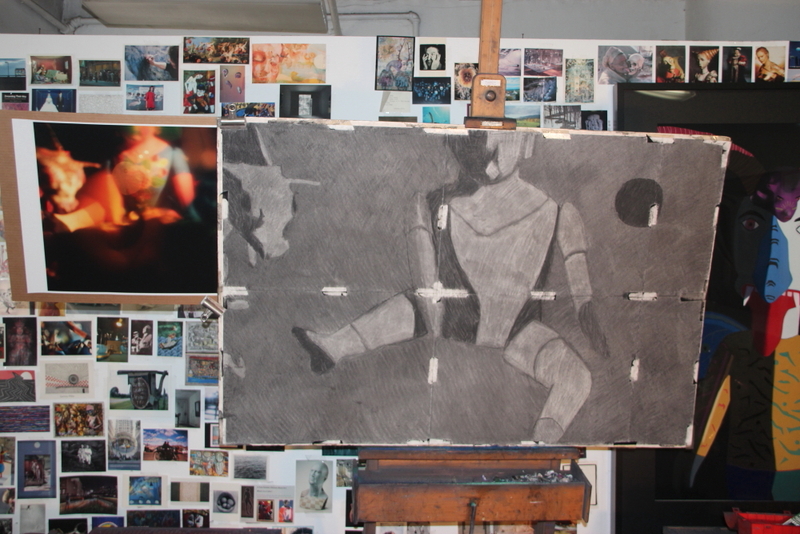 It’s fascinating to never know where the process, or the paintings, will end up nor who will be touched by the work. My pastel paintings continue to garner appreciation among a growing list of collectors. Here’s a recent email from a couple that has been collecting my work from the beginning. we are thrilled and thrilled and thrilled for your good news from miami and naples.
. . . “tense peace, a tumultuous stillness” . . .
we know we love you and we love your work. how lucky are we to live with your work in our home, in our lives. we love to read how others describe it. your work stopped me in my tracks decades ago. the sight of your work never left me. i knew that i had to have it near me at some time, no matter what the cost. i began immediately to negotiate with john. you know the story . . .
i promised that i would not buy a single thing for five years if i could have one piece of your art. i held true for the five years and beyond, adding three more pieces of your work. if we had the wherewithal, your work would be on every floor. there is never a day that goes by without thinking how brilliant that work is and how it has enriched our deepest sense of visual joy. we see the rain pouring down, the snow falling, the clouds scudding by, in false friends. i admit, we don’t allow the sun to shine on them. i couldn’t bear for her to be damaged. your thoughtful, brilliant words kept us from changing the highly-reflective plexi to something that would have dulled the drama of us walking in front of and being a part of the work. we still have those words. it took about one-half of one second for my thinking to change. and, man, are we grateful. it never occurred to us that your work wouldn’t be sought after. always, we walk into a museum and see your work on the walls. on the walls of the hemi-cycle at the corcoran. on the walls of the whitney. on the walls of the met breurer. on any large white space that would allow each piece to breathe. we have always known, deep in our marrow that your work is singular. you have always had our hearts . . . since the second i walked into the torpedo factory, a first-grade teacher with a first-grade teacher’s salary, and knew that i’d sell my honda civic and walk rather than not have in reality, the frogs thought they were men (i know that the title of the piece is something like that . . . the decades have blurred the words). so, we waited and then . . .
we are excited out of our ever-loving minds for you. but . . . we’ve always known . 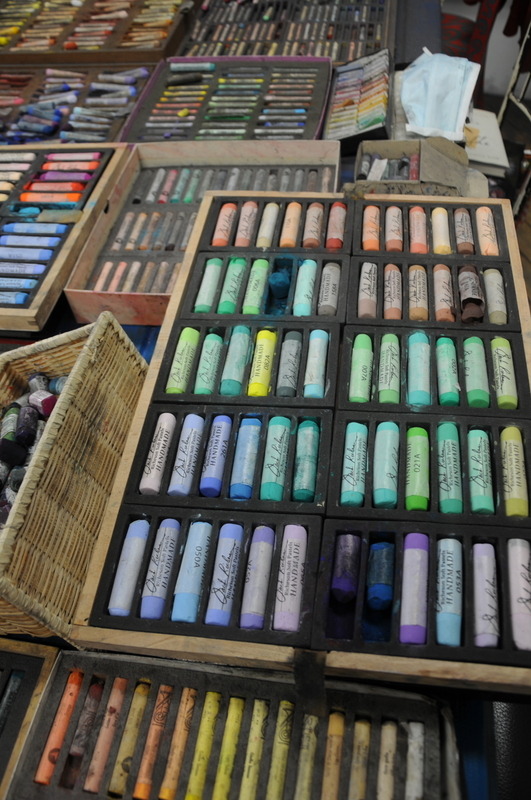 . .
Q: How do you store your pastel paintings? A: Well, I wish I could say that every pastel painting has sold as soon as it was completed, but that is a rarity that has only happened twice. 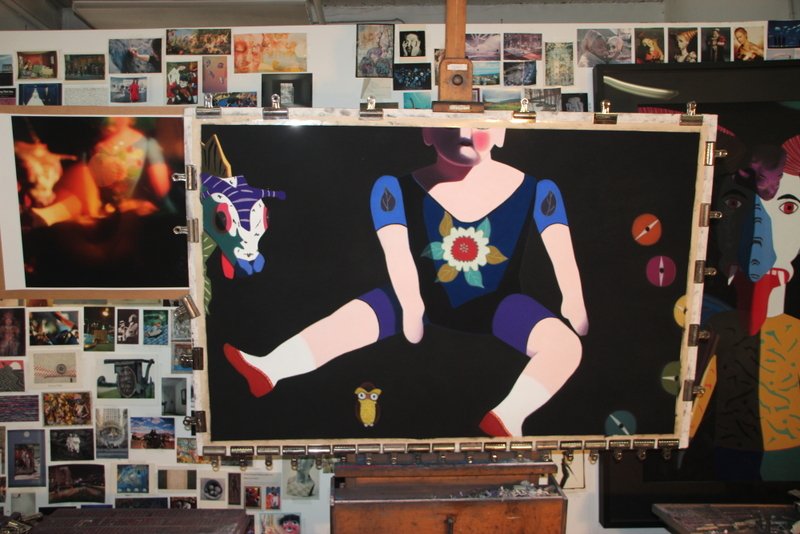 As soon as possible after I finish a painting, I bring it to the framer. Pastel paintings are susceptible to smudging and other odd dangers (even a sneeze!) until they are under Plexiglas. Framed work can easily and safely be stored by hanging it on a wall in my studio or standing it upright and face up, and leaning against a wall. 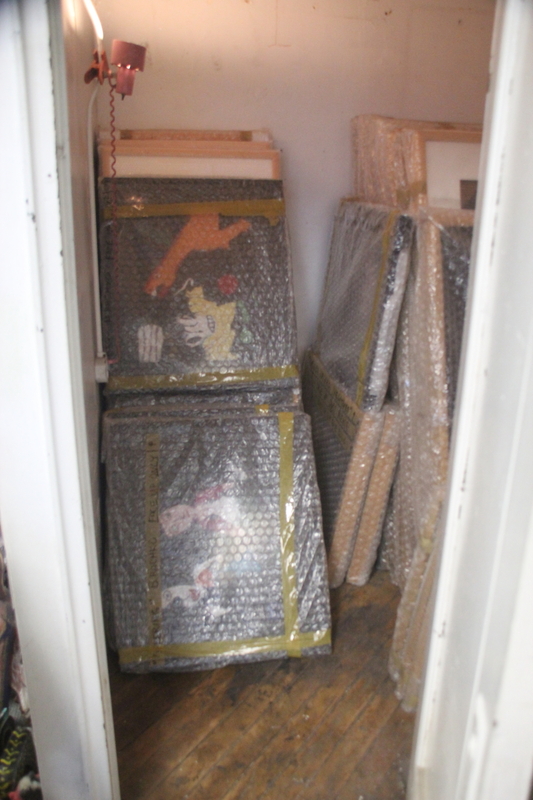 When I put paintings in my storage closet for the longer term, I wrap them in bubble wrap. The downside of having to frame everything is that it is a considerable expense. However, the upside is that I am always ready for a solo exhibition. Gallerists have called at the last minute when one of their exhibitions ran into unexpected problems. Usually, I am able to step right in. Comments Off on Q: How do you store your pastel paintings? Q: How do you organize your studio? 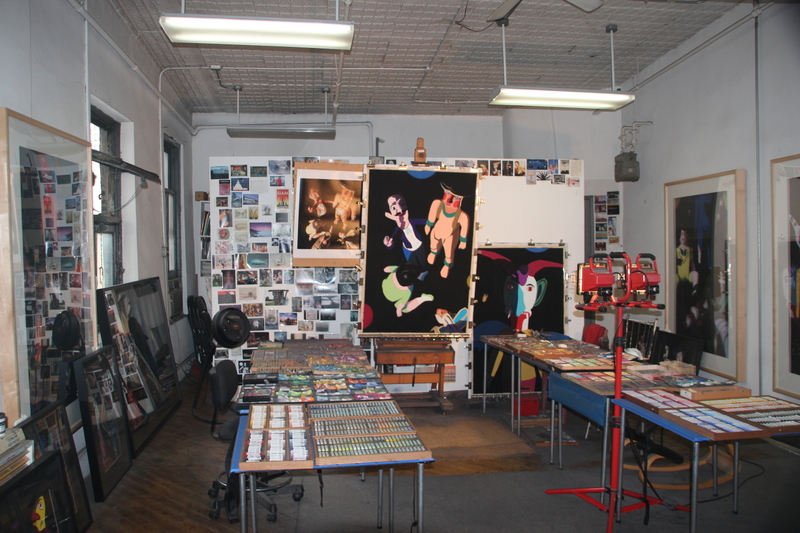 A: Of course, my studio is first and foremost set up as a work space. The easel is at the back and on either side are two rows of four tables, containing thousands of soft pastels. Enticing busy collectors, critics, and gallerists to visit is always difficult, but sometimes someone wants to make a studio visit on short notice so I am ready for that. I have a selection of framed recent paintings and photographs hanging up and/or leaning against a wall. For anyone interested in my evolution as an artist, I maintain a portfolio book with 8″ x 10″ photographs of all my pastel paintings, reviews, press clippings, etc. 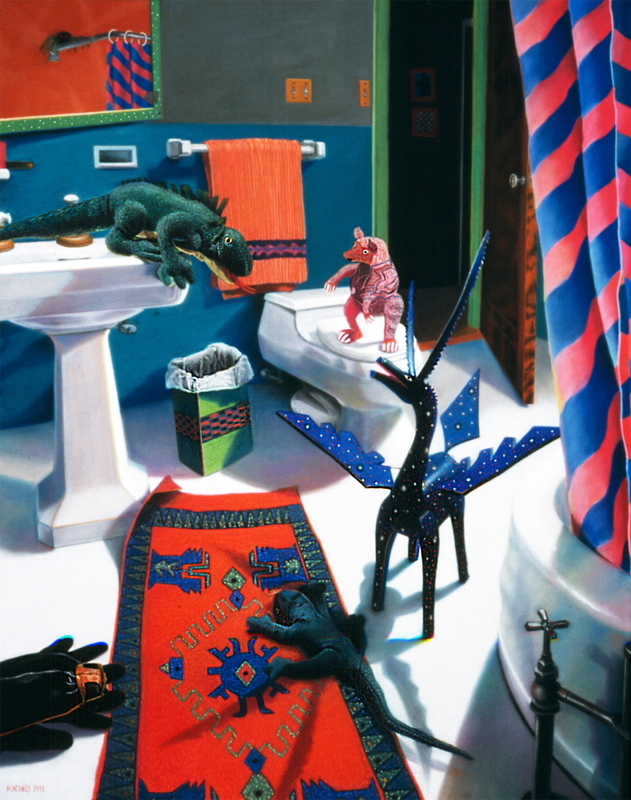 The portfolio helps demonstrate how my work has changed during my nearly three decades as a visual artist. Comments Off on Q: How do you organize your studio? Q: What is it about soft pastel that you find so intriguing that you use it as your primary fine art medium? A: For starters it’s the medium that I fell in love with many years ago. I recently read this article online, “What is Pastel?” by Mike Mahon, and will quote it because it neatly sums up what I love about working with pastel. Pastel is the most permanent of all media when applied to conservation ground and properly framed. Pastel has no liquid binder that may cause it to oxidize with the passage of time as oftentimes happens with other media. In this instance, Pastel does not refer to pale colors, as the word is commonly used in cosmetic and fashion terminology. The pure, powdered pigment is ground into a paste with a minimum amount of gum binder, rolled into sticks and dried. The infinite variety of colors in the Pastel palette range from soft and subtle to hard and brilliant. An artwork is created by stroking the stick of dry pigment across an abrasive ground, embedding the color in the “tooth” of the ground. If the ground is completely covered with Pastel, the work is considered a Pastel painting; whereas, leaving much of the ground exposed produces a Pastel sketch. 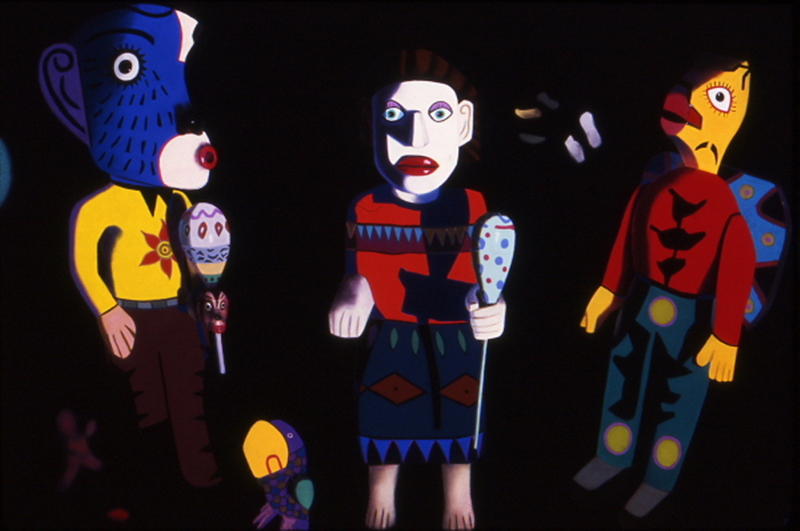 Techniques vary with individual artists. The Pastel medium is favored by many artists because it allows a spontaneous approach. There is no drying time, therefore, no change in color occurs after drying as it does in other media. Did you know that a particle of Pastel pigment seen under a microscope looks like a diamond with many facets? It does! Therefore, Pastel paintings reflect light like a prism. No other medium has the same power of color or stability. Historically, Pastel can be traced back to the 16th century. Its invention is attributed to the German painter, Johann Thiele. A Venetian woman, Rosalba Camera, was the first to make consistent use of Pastel. Chardin did portraits with an open stroke, while La Tour preferred the blended finish. Thereafter, a galaxy of famous artists—Watteau, Copley, Delacroix, Millet, Manet, Renoir, Toulouse Lautrec, Vuillard, Bonnard, Glackens, Whistler, Hassam, William Merritt Chase—used Pastel for a finished work rather than for preliminary sketches. Pastels from the 16th century exist today, as fresh as the day they were painted. Edgar Degas was the most prolific user of Pastel and its champion. His protégé, Mary Cassat, introduced Pastel to her friends in Philadelphia and Washington, and thus to the United States. In the Spring of 1983, Sotheby Parke Bernet sold at auction, two Degas Pastels for more than $3,000,000 each! Both Pastels were painted about 1880. Note: Do not confuse Pastel with “colored chalk.” Chalk is a porous, limestone substance impregnated with dyes, whereas, Pastel is pure pigment—the same as is used in other permanent painting media. Today, Pastel paintings have the stature of oil and watercolor as a major fine art medium. Many of our most renowned, living artists have distinguished themselves in Pastel and have enriched the art world with this beautiful medium. So knowing all this, I often wonder, why don’t more artists use pastel? Is it because framing is a big issue? Works on paper need to be framed and pastel paintings have unique problems (see my April 27, 2013 blog post). 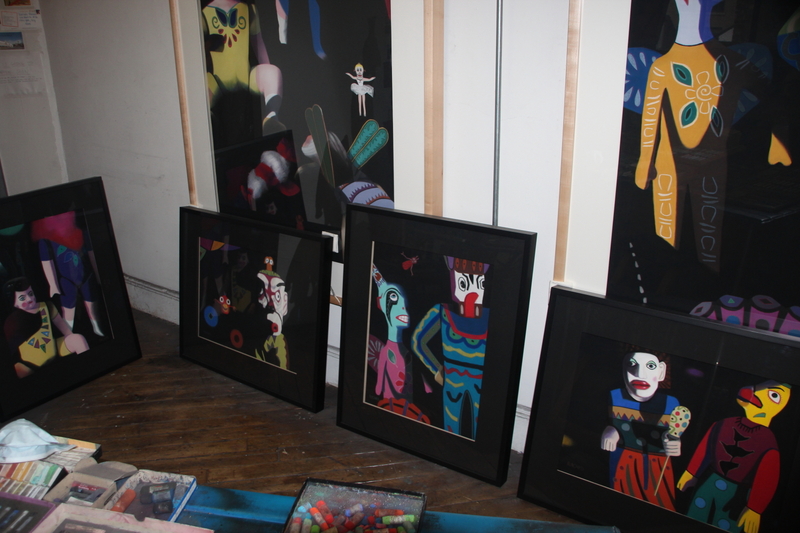 Second only to the cost of maintaining a studio in New York City, frames are my single largest business expense. Sometimes I am grateful that pastel is a very slow medium. I typically finish 4 or 5 paintings in a year, which means I only have to pay for 4 or 5 frames! Comments Off on Q: What is it about soft pastel that you find so intriguing that you use it as your primary fine art medium? Q: Does your work look different to you on days when you are sad, happy, etc.? A: I’m more critical on days when I am sad so that the faults, imperfections, and things I wish I had done better stand out. Fortunately, all of my work is framed behind plexiglas so I can’t easily go back in to touch up newly-perceived faults. It reminds me of the expression, “Always strive to improve, whenever possible. 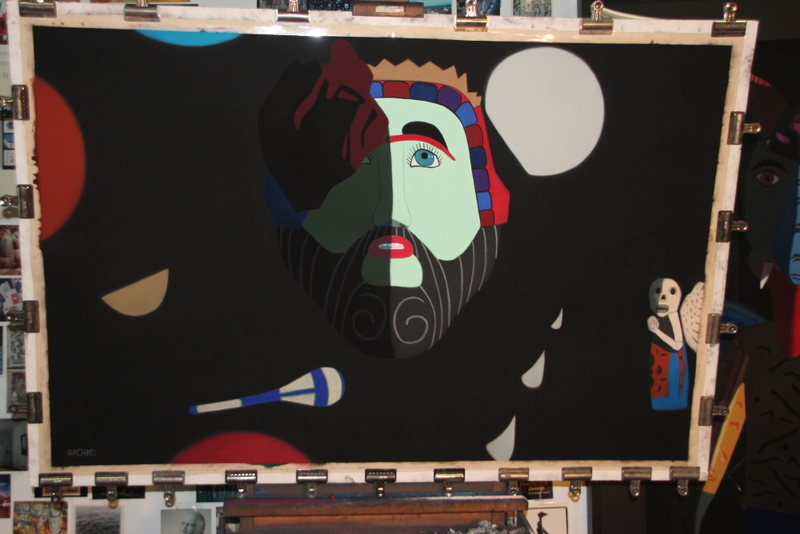 It is ALWAYS possible!” However, I’ve learned that re-working a painting is a bad idea. You are no longer deeply involved in making it and the zeitgeist has changed. The things you were concerned with are gone: some are forgotten, others are less urgent. For most artists the work is autobiography. Everything is personal. When I look at a completed pastel painting, I usually remember exactly what was happening in my life as I worked on it. Each piece is a snapshot – maybe even a time capsule, if anyone could decode it – that reflects and records a particular moment. When I finally pronounce a piece finished and sign it, that’s it, THE END. It’s as good as I can make it at that point in time. I’ve incorporated everything I was thinking about, what I was reading, how I was feeling, what I valued, art exhibitions I visited, programs that I heard on the radio or watched on television, music that I listened to, what was going on in New york, in the country, in the world, and so on. It is still a mystery how this heady mix finds its way into the work. During the time that I spend on it, each particular painting teaches me everything it has to teach. A painting requires months of looking, reacting, correcting, searching, thinking, re-thinking, revising. Each choice is made for a reason and as an aggregate these decisions dictate what the final piece looks like. On days when I’m sad I tend to forget that. On happier days I remember that the framed pastel paintings that you see have an inevitability to them. If all art is the result of one’s having gone through an experience to the end, as I believe it is, then the paintings could not, and should not, look any differently.